Brett Cousins, who runs YouTube channel thirdphaseofmoon, travelled more than an hour after spotting the strange formation on Google Earth. 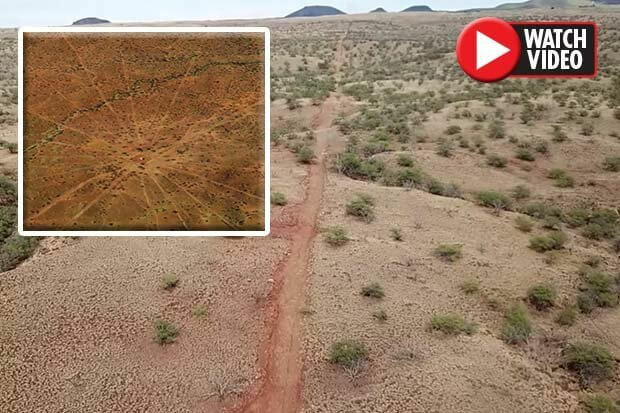 When he got there, he used his drone to follow the same path he had found on the online mapping site. And video footage reveals the amazing scenes he uncovered. And Brett thinks it could be a star map used by an advanced ancient society. “This is one of the oldest areas of Hawaii and this map could date back 100,000-150,000,” he revealed. “To me, it matches up perfectly to ancient star maps we’ve seen before. “Why would it only be visible from the sky though? We asked many of the locals and they have never even noticed it. The clip was uploaded to YouTube on October 29, where it has since gained more than 19,000 hits. And viewers were just as stunned. “They are similar to Nazcar lines,” one pointed out.